Do you want to know the future personalities of your kids? I really mean young children, below the age of ten. My experiences tell me that the eating habits of children could relate their behaviour and character. If a kid eats his rices first and then the food later, I strongly believe he grows to be careful and responsible. In future he tends to spend less and saves more. He could take hardship and suffering in later life. He grows to be humble and kind. On the other hand, another child might take most of his food first from his plate and eat the rice later. The chances is, he might turn to spend more in life and finding it difficult to save. Unless he finishes with a strong educational qualification, he might not prepare to undertake a job which is tough and challenging. He could be intelligence but his behaviour could be arrogance and stubborn. 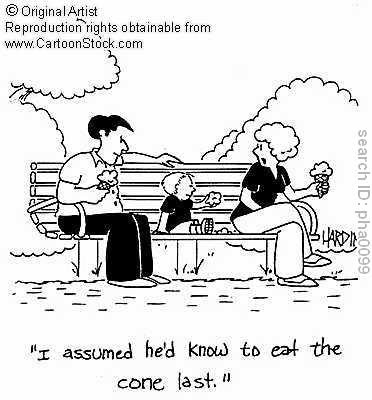 So the next time when you have your meals with your children, observe their eating habits. Is almost like a gateway to see the future of your growing children. Can you change their habits? No! I don't think so, because it's something beyond our control.